Gaming PC is not about just paying but it also not need maintenance to keep the gameplay smooth and perfect. For that you need some tool and hacks that enable the you play like professional. From keeping your hard space contained to overclocking your GPU all you need to adjust your PC and GPU setting to gameplay requirements. These small tools and way help you to increase the maximum output of your GPU and also enables the PC to work accordingly with your graphic tool. For starts you might need to play with build-in setting but with time to time when you feel, your game is not working properly and you need some adjustments to keep your play in good fps and smoothly. Some of the steps that will help you to increase your power of gaming gpu and your pc are discussed in this article in detailed manner. People ask what Hard drive have to do with gameplay and the reason behind that is some people have SSD or HDD memory drives in their PC and all the games are installed in that memory. Installed software’s, games and other files sometime placed scattered in the hard drive and occupy unnecessary space. Keeping them optimized, free up some space for you and increase the efficiency of hard drive which at back increase the efficiency of gameplay. The first thing you should think of is optimizing you hard and sometimes it’s important to shrink you hard drive to the space they actually occupied. Scattered hard drive file can slow down your pc and when your pc is not working properly the gameplay is well effected. All the games you play with your gaming pc is because of GPU, a graphical processor unit but it need the right and updated fuel for smooth play. Keeping your GPU updated with latest drivers enable you to fix some of the bugs and increase the gameplay of your PC. 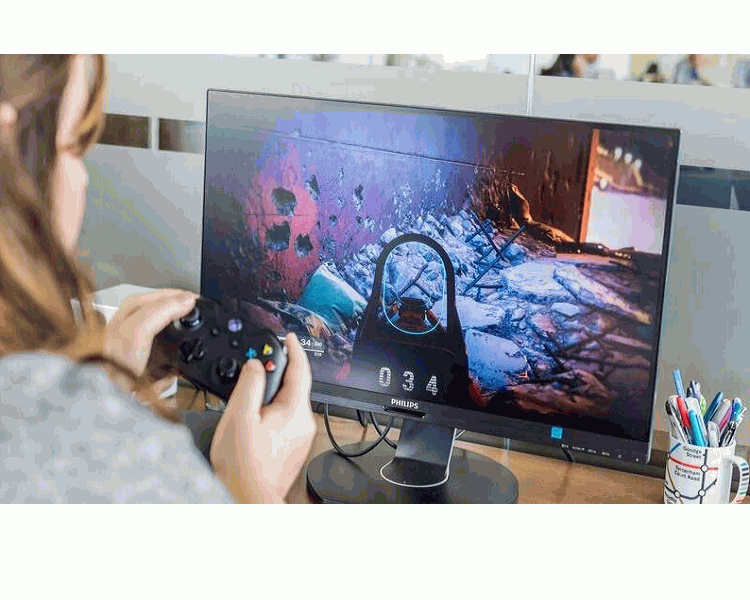 Updating PC drivers other than GPU are also important like sound drivers, directx, visual C++ and other tools that are essential for games, will assist your GPU updating in good way. Every pc has different setting and ability of GPU overclocking and for that you need to have 3rd party software like FunMark, Classic 3D. Install them and test your original clocking of GPU and then compare the new clocking with that to get a view about how your pc performance and heat up change. Now pc have automatic shutdown system when it heated up and with that function your GPU overclocking is safe. These tools are necessary to check with time to time for smooth game play and boosting your GPU but if you are using low graphic games then you might not need to change them and rely on your build-in GPU setting. If you are going for higher graphic games then you might need to follow these step.